Jets™ Descale offers the benefits of reliable piping through environmentally friendly cleaning agents, which prevent scale and keep sewage flowing freely. 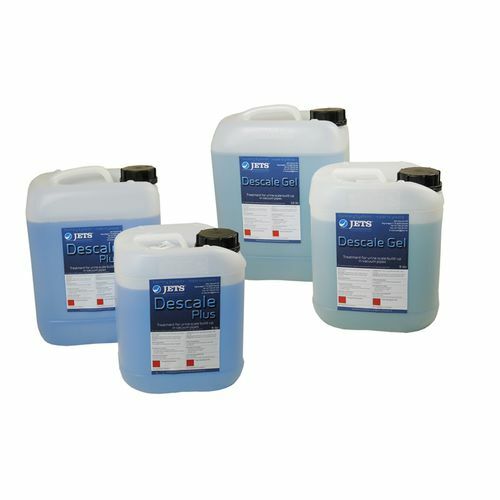 Routine use of Jets™ Descale puts an end to scale altogether. We take great pride in our extensive knowledge about vacuum piping systems. With more than 25 years of experience in vacuum sanitation, we are highly aware that keeping your piping system free from scale build-up is the key to both high performance and trouble-free operation. 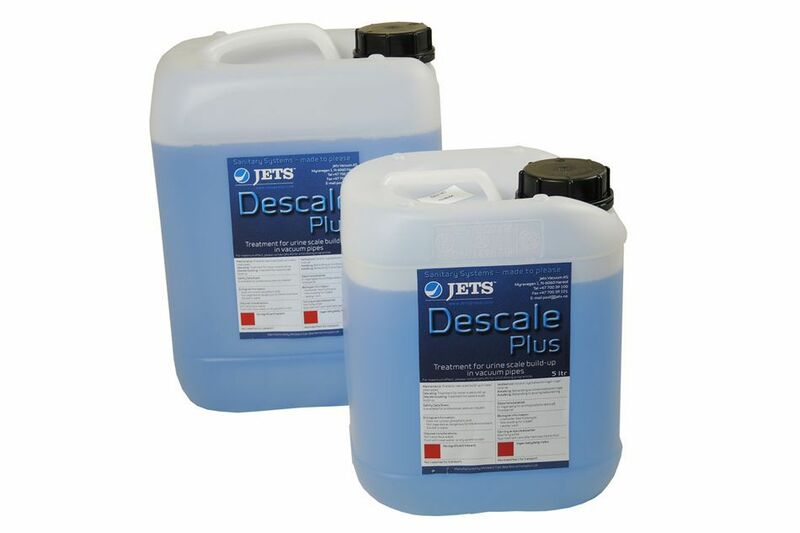 Download the Jets Descale™ brochure here and learn more. What is scale and how is it removed? Urine scale is a hard substance which forms in piping systems due to a chemical reaction between the calcium in water and urine. A special cleaning agent is needed to prevent and remove such scale. Jets™ Descale products are specially formulated for this task. They offer a cost-effective way to keep the piping fully operational throughout the life of your vacuum sanitary system. 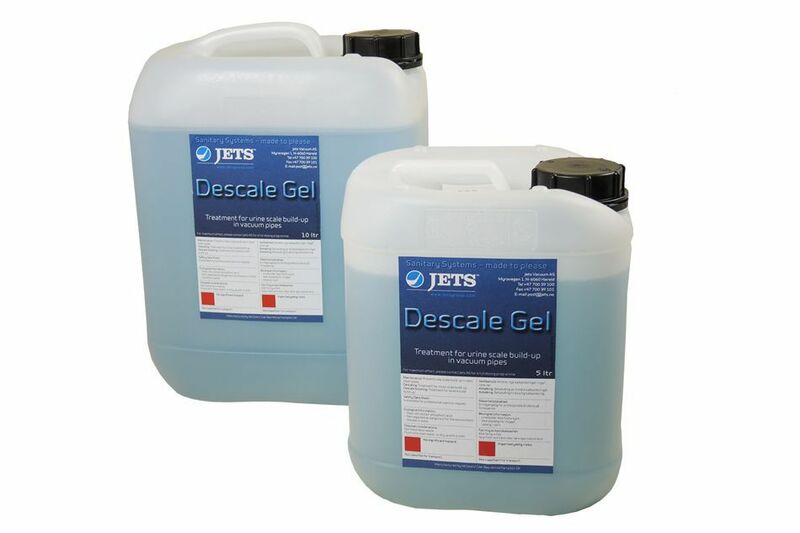 Jets™ Descale Plus and Descale Gel are available in several packaging sizes. Use them with our automated dosing units to optimise their effectiveness in any vessel. In cases where preventive maintenance has not been carried out, there may be severe scale build-up in the piping. These situations require a boosting program to be run for a period of time. Jets™ Descale products allow customers to easily take immediate action to clean their piping systems.